Today marks the one-year anniversary of the Deepwater Horizon (DWH) Oil Spill, one of the worst environmental tragedies in U.S. history. * A question that keeps coming up in all of the retrospectives in the news media is has the Gulf Coast recovered. I find it really interesting how this question is defined. The answer almost always seems to be in regards to Gulf Coast’s economic recovery. Is the tourism industry picking up? Is it safe to eat shrimp harvested from the Gulf? Beyond the economic side, the question still remains as to whether the Gulf Coast has recovered ecologically. A recent article on the Huffington Post cites certain environmental scientists’ claim that the Gulf has nearly returned to a pre-spill level: that in a survey of three dozen ecologists, the Gulf averaged a grade of 68 on 100 point scale. (The pre-spill score was 71.) (It seems kind of reductive to place a numerical score on such a complex, rich ecosystem.) One of my concerns about the reporting on the DWH Oil Spill is that there is a rush to declare disaster avoided and the Gulf restored. I think that much of the reporting looks to reassure that it is within our ability to save the environment from our carelessness. That through technology we can “restore” the natural world, correct our mistake. In, “The Big Lie: Human Restoration of Nature,” environmental ethicist Eric Katz challenges the belief that humanity can ever recover a pristine Nature after having polluted it: “[W]e must not misunderstand what we humans are doing when we attempt to restore nature . . . We are not restoring nature; we are not making it whole and healthy again.” The danger, for Katz, is that it will just become accepted that we can always clean up our environment mistakes with technology, in a way sanctioning our recklessness. For example, turning back to the DWH Oil Spill, consider the use of chemical dispersants. It was not that Corexit EC9500A and EC9527A actually got rid of the oil but sank it below the waves and out of our sight. I highly recommend reading Dr. Samatha Joye’s testimony to Congress and Charles W. Schmidt’s “Between the Devil and the Deep Blue Sea: Dispersants in the Gulf of Mexico,” both of which offer detailed accounts of what chemical dispersants actually do and the potential environmental warm that they can inflict. 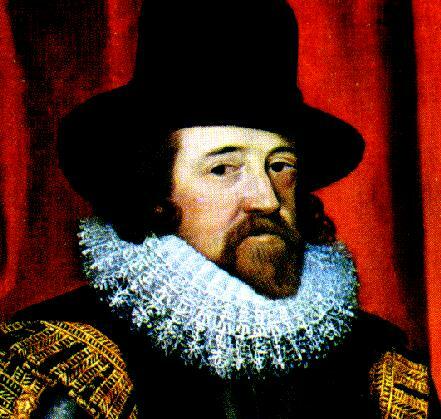 In 1623 Sir Francis Bacon best encapsulated the new ethos when he wrote in De Dignitate et Augmentis Scientarium that nature is to be “put in constraint, molded, and made as it were new by art and the hand of man.” Those words may as well have been BP’s corporate mission statement. Holding Bacon, the founder of what we’ve come to know as the scientific method, accountable for our modern environmental disasters is a contentious point among scholars. Before getting into that debated, let me give some background here on Bacon and what he envisioned. That the sciences are in an unhappy state, and have made no great progress; and that a path must be opened to man’s understanding entirely different from that known to men before us, and other means of assistance provided, so that the mind can exercise its rightful authority over the nature of things. So should, as Klein suggests, Bacon be seen as creating a mindset that has led to our modern environmental crises? On the one side are environmental scholars, such as Carolyn Merchant, who find in Bacon a voice sanctioning the unethical treatment of Nature. Here the fundamental argument is that Bacon transformed the way the West looked at Nature, from seeing it a as mother-earth figure to an inanimate source of raw material available for our industrial consumption. Bacon does in his scientific writings discuss Nature in very violent, misogynist terms and demands that Nature be tortured into serving humanity’s needs. On the other side of this debate are modern defenders of Bacon who deem it unfairly anachronistic to lay our environmental disasters on Bacon’s door step. Pere Zagorin, I find, makes the most compelling argument on this side in noting that from the early 17th– century perspective Nature was something to be fear and was not susceptible to being victimized by humanity. Now here’s where I see the connection between Bacon’s thought and the DWH Oil Spill. Bacon sees modern science as a project of restoration: it was not necessarily that science was about gaining new power over our environment but rather about recovering the authority that Adam in the Garden of Eden had over Nature. A popular understanding of the Fall that was circulating during Bacon’s time was that due to Adam and Eve having disobeyed God Nature now was in state of disharmony and decline. (You might think of Adam and Eve as having “polluted” Nature with their sin.) In Novum Organum (The New Tool) (1620), which is the first part of his Great Instauration, Bacon describes the goal for the new science as this: “Let the human race only recover its God-given right over Nature, and be given the necessary power.” For Bacon, humanity could intervene into Nature through science and recover the state of Nature that once existed before Adam and Eve’s Fall. So in other words, technology/science allows for humanity to remedy its original transgression and restore Edenic harmony to the natural world. Though secularized, this same belief motivated the use of chemical dispersants in the Gulf – that it is within our power to restore Nature to an earlier, pristine condition through technology. However, I wonder if we should begin to question this belief that technology offers a path towards salvation. 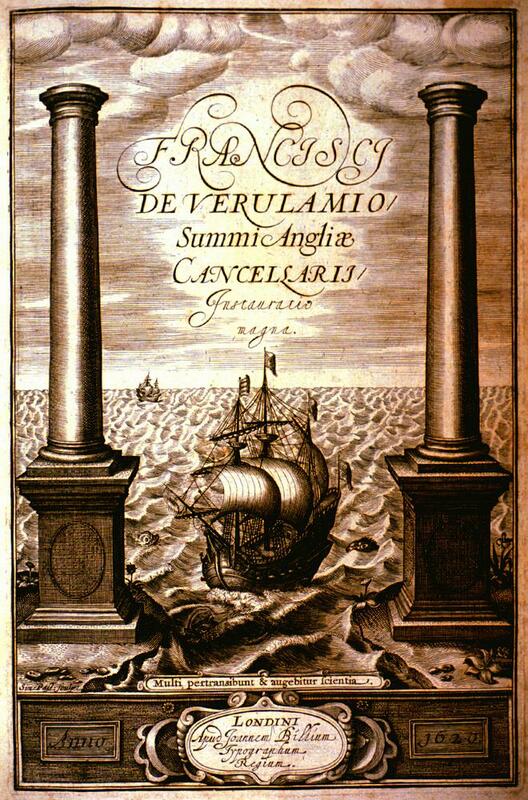 This entry was posted in Why the Renaissance matters and tagged Carolyn Merchant, Enviromentalism, Francis Bacon, Great Instauration, Gulf Oil Spill, Naomi Klein, New Science, Novum Organum. Bookmark the permalink. Are either Klein or Merchant aware that Europe was largely Catholic prior to C16? Do they seriously imagine that Catholics believe in an Earth Mother and that they had taboos against desecrating the mother? And the rest of the world was hardly a paradise of pre-scientific oneness with Nature. These people write like religious fundamentalists: they string together words with high emotional content, with no regard whatsoever for the facts on the ground. Famine & plague were recurring nightmares in Bacon’s time. Rivers were becoming so fouled with waste that they were poisonous to live beside (the Fleet). Humans were helpless and clueless and the philosophies available to them were about as useful as Merchant’s nattering nonsense. Francis Bacon invented clarity. Yes, the criticism that you have levelled against Merchant is one that has been raised by many of Bacon’s modern apologists. I would refer you to such Baconain scholars as Peter Pesic, Iddo Landau, and Matthew Nieves, whose Bacon biography, Francis Bacon: A History of Character Assassination, is a worthwhile read. Particularly, though, your pointing out that the pre-modern experience of nature was one in which nature prevailed Perez Zagorin articulates in his study of Bacon’s philosophy. I would, however, recommend not making such a sweeping and rather unwarranted indictment of Merchant’s works as the one you make here. Instead of asking dismissively whether Merchant has read Bacon’s corpus, which she has, I would suggest that you take a look at her very influential ecofeminist studies of early Western scientific thought. I do very strongly agree that Bacon’s works represent a profound shift in how humanity perceived its relationship to nature. That is, while nature was seen as the predominant player in the drama between itself and humanity, Bacon transformed the natural world into something to be taken apart and manipulated for humanity’s benefit, using the new scientific mode of thought. Now part of this shift did include a re-imagining of nature as a feminine other meant to be dominated and forced to give over her secrets, a trope that appears in The Masculine Birth of Time, Novum Organum, The Refutation of Philosophy, and The Myth of Proteus. Now lets turn to your criticism regarding Merchant’s, and by extension Klein’s, claim of the currency of the mother earth image in 16th c. Europe. First off, Merchant does not confine her research to just the 16th century but rather deals with Western thought dating back to Gnosticism. Yes, from the pre-Christain writers, such as Ovid, through to Medieval writings, such as The Complaint of Nature, there is a tradition of seeing nature as both a sentient and maternal figure. Plato’s Timeaus is the quiessential text that informs the view of the natural world as a living organism. For contemporary English writers with Bacon who draw on this maternal trope, I definitely suggest reading Andrew Marvell’s Mower poem sequence. Overall, the question seems to be is it unfair to blame Bacon for the current environmental crisis that we globally now face. It is a complicated issue: certainly it would be irresponsible to abstract Bacon from the material conditions that defined pre-modern humanity’s relationship with nature. However, Bacon in his scientific treatises does provide the foundation to the modern perception of the natural world as a machine that we can improve upon. P.S. I visited your website and read a bit about the historical fiction that you write. I always have thought that Baconianism provides the foundation for the modern detective story and am fascinated about your placing Bacon in a Sherlock-Holmes-esque role. If you would like, please send me a copy of one of your books so that I might a post revieiw of it. Thank you for your long and thoughtful response to my rather inflamed comments! I should say that I’m delighted to find your blog. I’ve been looking for discussions of Bacon that don’t involve him being the secret love-child of Elizabeth and Robert Dudley or the true author of Shakespeare’s plays. I am grateful for the recommendation of Nieves’ biography, which sounds like just the sort of thing I need. I’ll pass on the eco-feminism, however. I’m a novelist; I don’t have to be well-rounded. My experience of eco-feminist and similar studies in graduate school tells me that it will be mostly word salad; I have no desire to pick through it looking for the scant bits of nutrition. I do not believe in the Romantic vision of a morally and ecologically pristine pre-scientific world. I believe that homo sapiens has pretty much always pursued a strategy of use it up, trash the place, and move on. And I am certain that if I were a woman living in that pre-Baconian paradise, that I would have died in childbirth years ago or, if not, nobody would dream of letting me write books for publication. Go Science, I say! But why bicker? This is why I write novels instead of getting a nice sensible academic position and writing polemic. My goal is to understand Bacon as he understood himself, to the extent that that is possible from such a distance. He’s not a simple person and he’s certainly not a saint. I like him all the better for it. And I thank you for your kind offer to read my book! I haven’t sold it yet; we should probably wait. My Francis isn’t so much Sherlock Holmes (too much energetic running around soiling your cuffs) as he is Nero Wolfe. He does the thinking while Tom and his friends do the swashbuckling. My goal is historically-correct entertainment. I am very much looking forward to reading your book and again, I thank you for this blog.